This 342 page book has been written by a naturopath who has operated several successful clinical practices, has tertiary qualifications in management and has lectured on this subject around Australia since 1996. 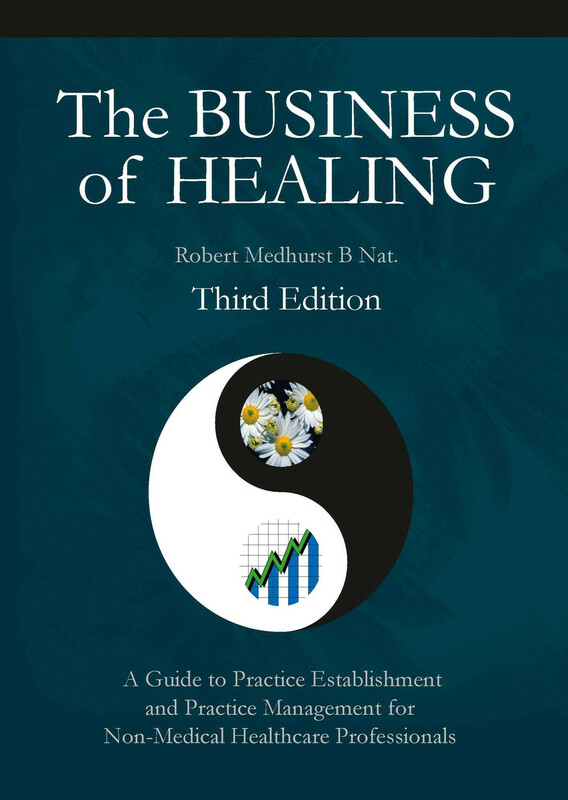 Since it was first published in 2003, The Business of Healing has become widely regarded as the best book of its type in Australia and has become the set text for this subject in most institutions teaching non-medical health. The book covers the requirements for setting up, operating and marketing a successful non-medical healthcare practice. It contains a huge amount of essential information and provides guidance on everything from selecting your clinic location and getting started in business, through to exit and succession planning, from the author’s own personal experience and that of some of Australia’s most successful practitioners. This book is essential reading for anyone contemplating setting up a non-medical healthcare practice, or those who have a desire to increase the impact of their existing practice.